Associated Movers& Packers - Travel / Travel Agents / Transportation Services of domestic or household packing and moving services, industrial relocation services & warehousing / storage services since 2001 in Chennai, Tamil Nadu. Are you shifting to another city and worried about the entire shifting process? How would you pack? How do you ensure the security and not worry about any damage to your valuables during transit? Now, there is no need to get unduly worried about all the hassles associated with shifting. 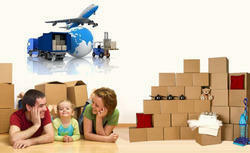 You can leave all your worries to associated Movers and Packers. We are here to offer you professional service. It doesn't matter what your moving requirements are, whether it is a 750 sq.ft apartment or a sprawling bungalow, we have the packing and moving solutions for you. The entire process starts with your call and the visit of our Household packing and moving services experienced personnel to your premises. What is more we even offer you a free quote, right at your door step. Our Movers and Packers field officer will make a detailed survey of your moving requirements and depending on the men, kind of packaging materials, vans required and insurance, will give you a detailed estimate. Once the estimate is ready, you can give us your move schedule and leave behind all your relocation worries to our professional team, who will take care of loading, the actual transit, unloading and resetting process at your destination. In today's hectic world, where corporate executives and personnel are hard pressed for time, time is at a premium. Now fortunately, thanks to associated movers and packers, you can leave all your moving process in the able hands of our professional Industrial / Corporate Relocation team. They will depending on your requirement, identify your 'actual needs' and chart a detailed estimate and schedule. We will work in tandem with you, as part of a team, thereby reducing downtime, employee stress and most importantly, cutting costs. With our extensive network of branches and customer centric approach, Industrial / Corporate Relocation team always ensure that your valuable goods reach their destination in time, safely and without any damage. In fact, we are renowned for our expertise in the packing and moving of fragile material like crockery, glass, ceramics, etc,. Our penchant for constant innovation ensures that Industrial / Corporate Relocation team always use the right kind of packaging material for the moving your goods. Some of the packing materials we use include thermacol, bubble sheets, polyurethane wading, corrugated rolls, corrugated boxes, gunny, wooden crates, etc,. to name a few. 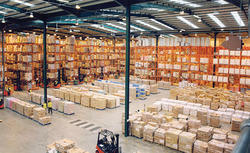 Whatever your storage needs be, Warehousing / Storages services have the expertise to arrange for the same. Warehousing Services can arrange for Storage on a short-term basis, or for longer periods, depending solely on your requirements. We have the specialization and capability to ensure the safety of your goods, in a clean environment. Compartmentalized distribution of the goods stored sees to Warehousing / Storage that they are kept secure and separate from one another. 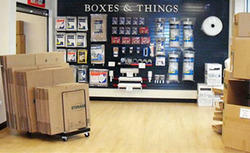 What is more we also provide you with access to your stored goods, at your convenience. Our Warehousing /Storage services extensive network spread across 250 branches has yet another special feature in the sense that we have warehousing facilities in all our branches.